Test results will appear on this page as when. These test are an ongoing for 2016 and different test run at different times, please contact Liz for more information on times and dates. well done to the members who took and passed their road rider test. Well done to Halle Nutt for passing her D test at the all day rally on March 29th. Sinead Bramhill Lucy Benson Charlotte Wolstenholme Lara Hinchcliffe all passed their c+ test on the 12th December 2015, well done girls. Congratulations to Amber Major who has pass her full B test in July 2015 , well done. More information on efficiency tests can be found on the main pony club site under tests. 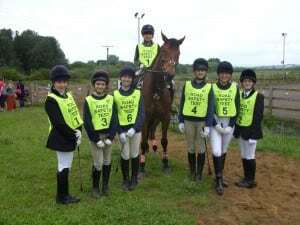 Well done members for passing the BHS riding & Road Safety test taken at Bagmoor Equestrian center they were Sinead Bramhill, Mary Maw, Lucy Benson, Niamh Bocock, Sophie Robinson and Charlotte Wolstenholme. Well done to the younger members who gained the mini badge for points of the pony, they were Violet Barron, Ella Dent, Emily Bower, Alex Kelk, and Ruben Hart. We hope to see you at the rallies proudly displaying your badges on your sweatshirts.Thank you to Lucy Taylor for all help & Instruction for the Junior rallies. Well done to Katie Willerton for passing her B riding. Amber Major for gaining her full B test.